← Obama betrays Israel, changes US policy. Christian Evangelicals embrace Israel during dark days. Israeli Deputy Prime Minister Moshe Ya’alon, the second highest ranking member of the Israeli government, received three lengthy standing ovations during an appearance at the 2010 Epicenter Conference. The event, organized by bestselling author Joel Rosenberg, featured Ya’alon and an all-star lineup of American Christian evangelical leaders. Rosenberg is a Jew who converted to Christianity. Ya’alon told the audience of 1,500 — along with 20,000 tuning in worldwide via satellite — that Christians and Jews share common threats from Iran and its jihadist allies. Ya’alon said that means closing the gaps that have formed between Israel and the U.S. under the Obama administration. Iran, Syria, Hamas, Hezbollah and now Turkey all represent imminent threats on Israel’s doorstep. War seems inevitable. And the message at the conference was clear — stand firmly with Israel in what may be its darkest hour. “I believe we are heading into a very dark moment — the darkest in my lifetime,” Rosenberg said. Rosenberg told CBN News he believes war is coming to the Middle East. He says Turkey’s growing alliance with Iran and the forces of radical Islam against Israel raises the possibility that the war of Gog and Magog mentioned in the book of Ezekiel could happen in our lifetimes. “Turkey has moved from being a NATO ally to a member of the Axis of Evil, right before our eyes,” Rosenberg said. He added that as anti-Semitic fervor grows around the world, Christians need to step up and make their voices heard. “I believe as the world turns against Israel and basically drives themselves away from Israel, the followers of Jesus Christ need to go in the other direction, towards Israel, embracing Israel-showing unconditional love and unwavering support for the Jewish people and Jewish state at this moment,” Rosenberg explained. Rosenberg preaches to his fellow Christians about Jews and Israel. 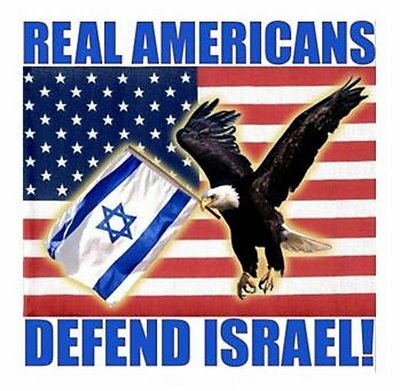 This entry was posted in Anti-Israel, Christian, Israel, Jewish converts to Christianity, Media, Obama, Terrrorism, Turkey, UK, US - Israel relations and tagged anti-Israel, anti-semitism, Christian Evangelicals, Evangelical Christians, israel, Jewish converts to Christianity, Joel C. Rosenberg. Bookmark the permalink. 4 Responses to Christian Evangelicals embrace Israel during dark days. Well, I am a devoted Christian lover of the Jewish people and Israel. I am now aged 62 and The Lord planted that love in my soul when I was aged 14. I have NEVER wavered all these years. I recently bought a CD which had the sound byte on it of Israeli soldiers on Jun 6 1967 taking Jerusalem. I cry EVERY time I hear it. Oops! I forgot to say…….I am an Australian. Please accept my apologies. I meant to post this in your “Thank you Christian Evangelicals” post. Could you possibly move them? HALLO! am a kenyan christian aged 40 and i must say i love all Jews, Jerusalem and the Jewish state of Israel. i believe there is no christianity without the reverence of all the Jews simply because they are God’s chosen people from the nations tribes cultures of the world, indeed the apple of GOD’S eye. Christianity has its roots in ISRAEL- JESUS was born in this land and began his ministry of the redemption of mankind in this land. We the other nationalities that believe in JESUS are adapted to this children of GOD. JEWS in Israel and in other parts of the world are special and have a mandate to confess the risen CHRIST OUR LORD and by embracing the truth of their rich heritage the entire world should reverence them. All governments should contribute to the welfare and development, and security of the Jews unconditionally without compromise. I PLEDGE MY ALLIGIANCE TO THE NATION OF ISRAEL. THANK YOU VERY MUCH.